For additional information about this book, visit the website dalliedkien.com. Learn how to change your life through prayer, meditation, and the four stages of faith. Do you feel like your life is going nowhere? Does it seem that health, wealth, and stability are always out of reach? Are you looking for the answers to your questions without success? Author Dallied Kien wants to tell you how to find your answers—and to live the life you deserve. 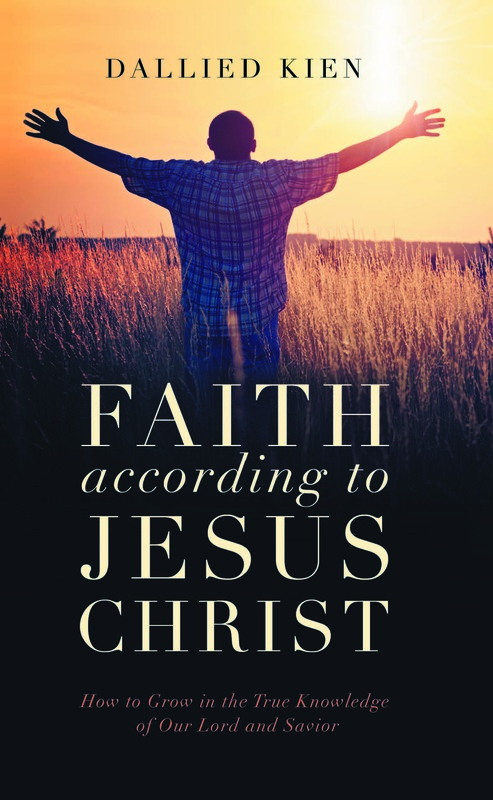 In Faith According to Jesus Christ: How to Grow in the True Knowledge of Our Lord and Savior, author Kien shares his own story of success in defeating a terminal disease using only the power of the Word of God and His Son, Jesus Christ. And, more importantly, he shares his techniques with you to teach you what you need to do to free yourself from the troubles of this world—and to share in the joys of the world to come. • What is “meekness”—and why do the meek inherit the earth? • Why must we ask for help in the name of Jesus? • Why is it important to speak in tongues? • How does Obedience to God’s Word act on our faith as fire refines gold and silver and increases our confidence and trust in God and Jesus? This is not a book of theory—it is a practical book filled with the knowledge and steps you can follow to attain your perfect life, both on earth and in heaven. By focusing on specific passages from both the Old Testament and the New Testament—each chosen to point toward a different need or want in your life—you will find that through prayer and meditation, you, too, can begin to reshape your life. You can obtain the life Jesus and His Father have planned for you, if you only take the time to practice the four stages of faith laid out within these pages. The first seven chapters of this book are the foundation of this book and the basis to understand any scripture of the Bible. These chapters are your passport to live the wonderful life of God’s children. As soon as you master them; you will start to live as Jesus operated when He was on earth: Speak with authority and power, Have fellowship with the Holy Spirit, Make a change in your circumstances of life, Live the balanced and wonderful life. Do your best to master them, it will therefore be easy for you to live according to the spirit of faith and the God-kind of faith. Then 21 chapters give you all the knowledge you need to get to grow in the spiritual realm. Finally, the last chapters lead you in the four dimensions of faith. This book you have in your hands is not a theoretical book. It gives and teaches you about the realities and truths about your life because these truths derive from God’s Word and have been experienced in the life and in the body of the author. During the political crisis in Ivory Coast, Dallied Charlemagne Kien became a refugee in Lome (Togo), where he truly met the Holy Spirit and Jesus Christ, through his daily meditation on God’s Word. When a terminal disease attacked him, he pulled through the challenge without drugs but, instead, with the Word of God and the power of the Holy Spirit—and he wants you to learn how to do the same. Kien is also the author of both the French and English versions of: The Ethics-Based Approach; or Keys of Human Fulfillment.